As hit BBC2 comedy Episodes returns for its final series, Tamsin Greig talks risky jokes, shooting with Matt LeBlanc and why it's time to leave the party! Actress Tamsin Greig is back as screen-writer Beverly Lincoln in the fifth and final series of BBC2’s hit comedy Episodes, which is set behind the scenes of Hollywood and also stars Matt LeBlanc and Stephen Mangan. What’s On TV: How is Beverly finding working with Matt (Matt LeBlanc, who’s also spoken us) this series? WOTV: What do you enjoy most about being on the show? WOTV: Both Matt and the writers are American. Have there been moments when you’ve not understood each other? WOTV: Some of the jokes are a bit close to the bone, were you worried about that?  WOTV: How do you feel about the show coming to an end?